Lunch: $9.02Dinner/Weekend: $10.46Must be 65 years or older. Cannot be combined with other offers. 11 AM- 1:30 PM$7.51Must be 65 years or older. Cannot be combined with other offers. Regular Buffet Hours10% OffMust show military ID. Cannot be combined with other offers. Looking for the best pizza in Austin? Find it on our Buffet Your Way, where we’ll make any pizza you request—and bring you the first slice! 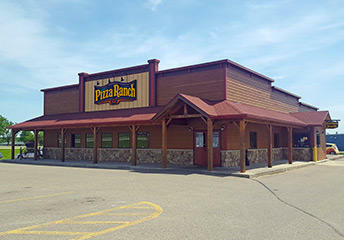 Pizza Ranch has all your favorite flavors, the Country’s Best Chicken®, and our signature Cactus Bread®. Join us on 18th Avenue, just off Interstate 90. We’re close to family fun like the Echo Lanes bowling alley and Lafayette Baseball Park, and are the perfect stop after a day of Austin adventures. Host your next group event in our community rooms that seat up to 66. Or join us for Community Impact events to help support local groups like the Shopko Walking Warriors! 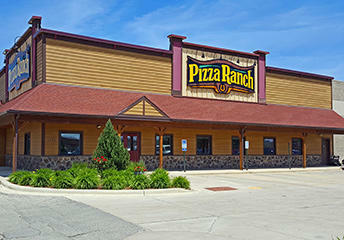 Pizza Ranch in Austin has been locally recognized! We want to thank the community for voting for us – you are what makes us legendary. The food and the customer were outstanding. I will return to this place again in the near future. The server overheard me asking about lite ranch dressing and immediately went and brought me back a packet. Outstanding customer service. 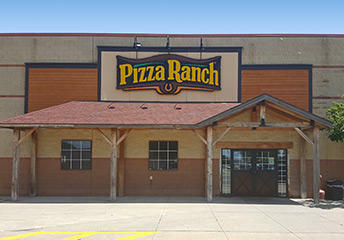 I enjoy eating at Pizza Ranch. The food is always hot and there is something for everyone. I especially like the salad because the lettuce is so fresh and there are a variety of things to put on your salad. I also love the chicken which is always hot and crunchy. Great place for food and fellowship. Always clean ang food is hot and fresh. We had family here from out of state that we haven't seen in over a year; we were able to sit in the large room for some time with our big group and visit. The food was very good, restaurant was clean and personnel were friendly. Thank you for allowing us to have a nice "family style" sit down dinner together. Salad bar needed some help but otherwise everything else was good. Dishes did not get cleared off our table but the food was great as always! Staff was friendly and helpful. Food was very good. It is always a great experience. Food is delicious. They were very very busy and was handling it very well. Slacking a little on dessert pizza but overall excellent job to all. Always have a great experience at the Austin one, staff is always so helpful! !